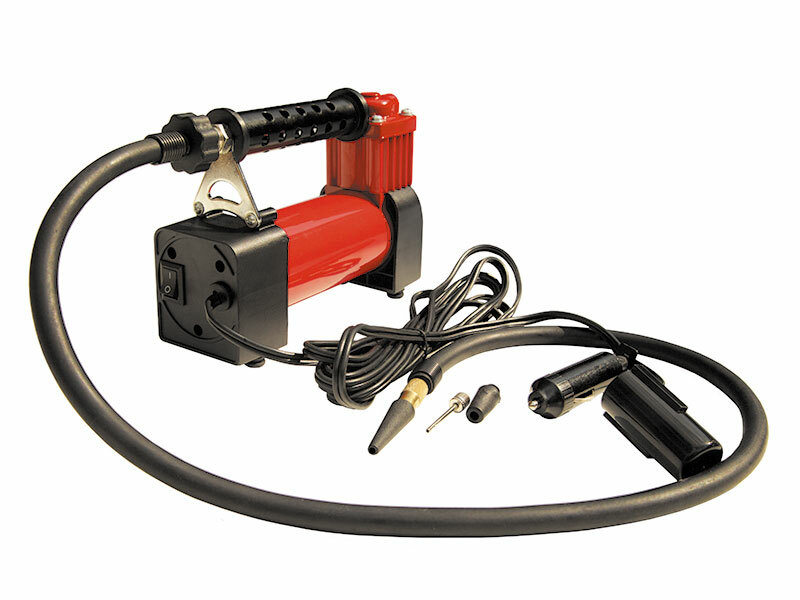 Easy to use - just plug into your car cigarette lighter for power; slip universal adaptor over tyre valve and you're ready to inflate. • 26 litres per minute output. • This unit has an installed self-protected device which can automatically cut-off if the motor overloads. 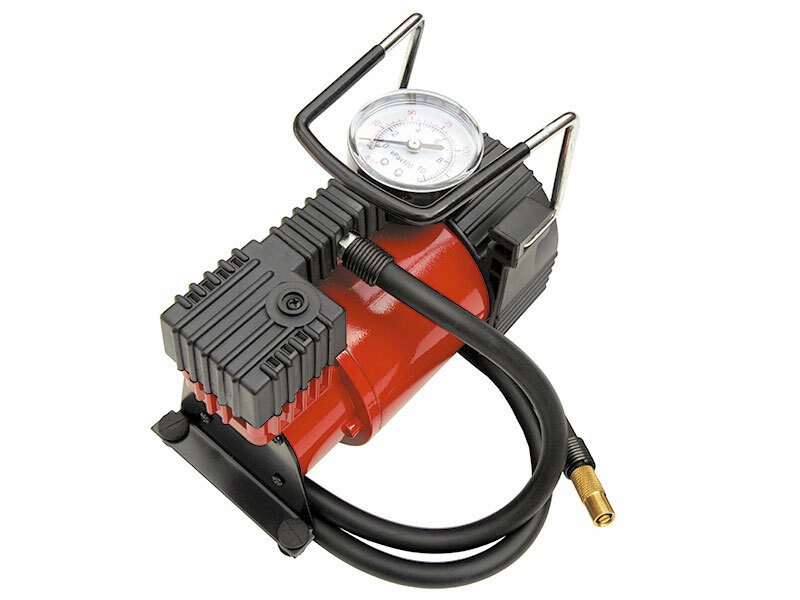 • Equipped with pressure checking gauge. 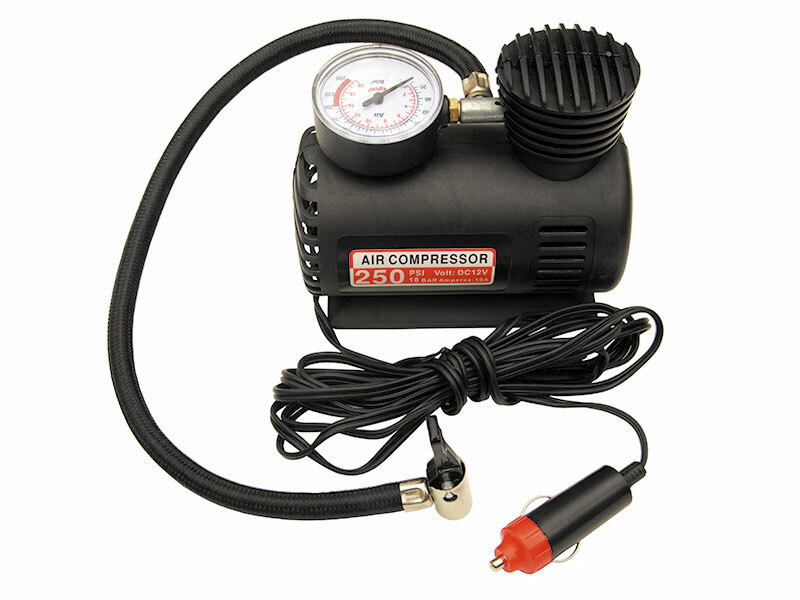 • Fast air inflation, inflat 1 tyre in 11/2 minutes.